Miguel Alba is a communications and public affairs specialist with over 30 years of working experience in corporate, government, media, and not-for-profit environments. He is experienced in internal and external communications, strategic grants and sponsorships, building community relations and governmental affairs agendas, crisis management, media relations, diversity issues, public presentations, marketing outreach, and special events planning and coordination. In June of 2014, Mr. Alba joined the University of Illinois at Chicago (UIC) as associate director of community relations within the Office of Public and Government Affairs. In this role, Mr. Alba worked to develop and maintain collaborative relationships with diverse community organizations and civic groups to support UIC’s mission of community engagement and service. He also works in collaboration with government affairs and marketing to deliver an integrated message to all external constituencies. Mr. Alba was appointed to his current role as director of communications and marketing within the Office of Public and Government affairs in November of 2016. In this role, Mr. Alba manages a portfolio of campus marketing programs and initiatives, including the UIC Campus Film Office, the campus banner program, and a translation operation that enables the office to provide press releases, ads, and other key communication materials in Spanish. Before joining UIC, Mr. Alba was hired by Supervalu in 2010 to manage community and government affairs for its Midwest grocery store chains Jewel-Osco and Cub Foods across Illinois, Indian, Iowa, and Minneapolis. In this role, he reported directly to the President of each grocery store chain and its management leadership team. Mr. Alba first joined the grocery industry as Director of Public Affairs for Jewel-Osco in 2007. In this role, he was responsible for community affairs, government relations, media management, as well as corporate giving. 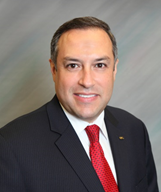 Prior to joining Jewel-Osco, Mr. Alba served as Director of External Affairs at AT&T Illinois since 1996, spanning the company’s existence as Ameritech and SBC. In this capacity, he worked in government relations as a lobbyist, community affairs, media, and corporate giving in Chicago helping to build functional relationships with business, civic, and not-for-profit agencies. Mr. Alba worked for Chicago Mayor Richard. M. Daley as an Assistant Press Secretary from 1993 to 1996. In this role, he was responsible for producing Mayoral speeches, press releases, and statements, as well as coordinating 14 City department public information officers. During this time, Mr. Alba was involved in a range of city wide events, including the Democratic National Convention, the World Cup, and Chicago’s extreme weather emergencies. Prior to his work in the Mayor’s Office, Mr. Alba was the Managing Editor of Extra Bilingual Newspapers, a chain of seven award-winning bilingual weekly newspapers in Chicago. In this role, Mr. Alba managed staff reporters, photographers, and production personnel, as well as writing a regular consumer column. He has received recognition for his work across a variety of fields, including a certificate of appreciate from Mayor Richard M. Daley, awards from the National Association of Hispanic Publications (NAHP), the Cardinal Bernardini Media Award for Excellence, awards from the Greater Chicago Food Depository and Food Bank of Northwest Indiana, as well as acknowledgements from many not-for-profits groups and chambers of commerce. Mr. Alba is a 2012 Fellow with Leadership Greater Chicago (LGC). In 2003, Mr. Alba earned an M.B.A. from Northwestern Kellogg School of Management. He obtained two Bachelor Degrees from Southern Illinois University at Carbondale in 1989. He holds a certificate of Corporate Community Relations from Boston College Carroll School of Management.